CD Scavenger Hunt (January update) — The first hunt of 2012! Just like last year, I’m late posting the first CD Scavenger Hunt of the new year! If you’re reading this, I’m actually writing this in mid-March but I’m back dating it for the end of January. One thing I like about the beginning of the year is that I start things off right with gift cards I received at the holidays…..my family knows that I get a thrill everytime I walk in a record store so gift cards are always a perfect gift. I also like that I can catch up on some of the previous year’s releases and there always seems to be some great used CDs that people turn in for extra holiday cash! 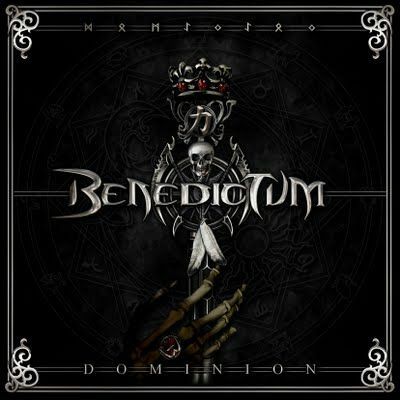 Armed with $90 in gift cards, I began the hunt early the day after New Year’s…..
Benedictum – Dominion (2011) – $10: Benedictum is one of my favorite newer bands of the last ten years or so but I never got around to buying their latest album until now. I had a good reason…..I was lucky to get a promo download of DOMINION from Frontiers Records early in 2011 and I just kept passing up the actual CD. I’m a collector at heart and I like having the physical CD in my possession so I was going to buy the DOMINION CD eventually but I didn’t NEED to buy it right away. The other problem was that my waiting meant that I missed out on the sale price from the new release making the regular price $17. Two days into the new year and the first thing I find is a new sale price on two of the three copies of DOMINION so i scooped one up right away! Sale price was $10 so I saved $7 off the regular price. 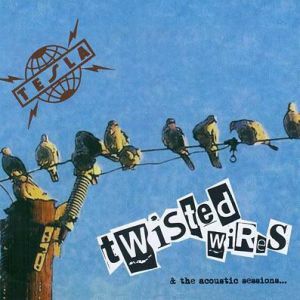 Tesla – Twisted Wires & The Acoustic Sessions (2011) – $16: I really had no intention of ever buying this album because I was never a fan of unplugged Tesla (I can’t stand ‘Signs’ and the rest of FIVE MAN ACOUSTICAL JAM) but I wanted to hear the new songs. I was also intrigued by the fact that the band decided to go acoustic on some lesser known songs rather than their usual string of big hits. Now I’m a big Tesla fan, I buy all the albums and I catch them on tour, but acoustic? Not sure I could take it again. The only saving grace here was that I knew that I was armed with gift cards from the holidays so I was able to splurge and pick up this CD when I normally wouldn’t spend the hard-earned cash unless it was used. The other deciding factor that I’ve only seen two copies in my recent travels to different record stores, I figured I’d buy it while I saw it because I would never order it online unless, of course, it was used on Ebay. No savings here as I had to eat the $16 regular price. 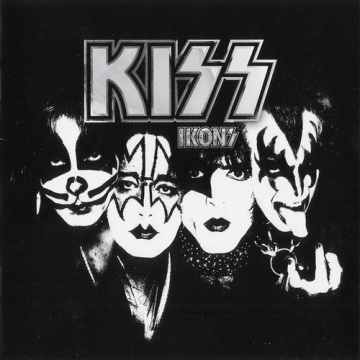 KISS – Ikons (2008) – $20 used: KISS is my favorite band but I’ve been finished for many years buying every compilation that Polygram sees fit to release…..and Polygram decides to release multiple every year with no need for Paul & Gene’s involvement because the label owns the back catalogue. When IKONS came out in 2008, I thought it was a different take on the usual compilation: 4 CDs with one CD for each original KISS member featuring their prominent songs. I remember seeing the $40 price tag back then thinking to myself: “I can make that compilation at home from the studio albums!”. I never bothered to buy it and never bothered to look for it. I hadn’t seen it for 3 years and someone decided to trade it in for store credit while I was there! For some reason, I had to have it! Mint condition, slipcase included (not pictured), I saved $20 off the regular price waiting 3 years and buying used. 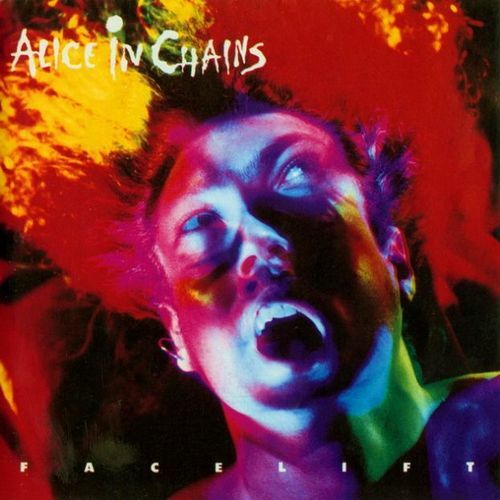 Alice In Chains – Facelift (1990) – $6 used: I never got around to buying FACELIFT way back in the day and people tend to forget that Alice In Chains was more Heavy Metal on this debut than part of the Grunge movement. I’ve been on an Alice In Chains kick lately on Spotify and I realised I only owned one Alice In Chains CD, MTV UNPLUGGED (1996). I’ve always enjoyed the band’s music and I remember having a dubbed cassette of FACELIFT from a friend back in ’90 so I figured it was time to pick up this band’s catalog. I always start at the first album when I can and there were tons of copies to be found all at different prices for both new and used. I found the lowest used price (by a dollar!) but $6 is better than paying the $15 regular price.I saved $9 and added an esential debut album by a solid band. 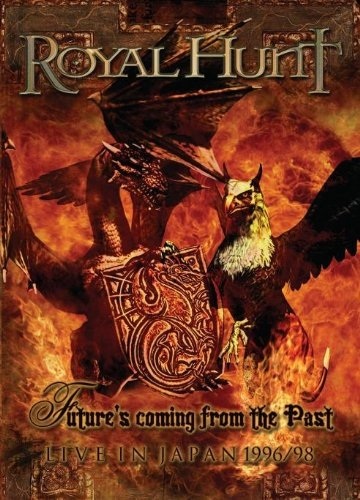 Royal Hunt – Future Coming From The Past (Live In Japan 1996/1998) DVD (2011) – $18: Released on Frontiers Records for international consumption, this DVD was originally released only in Japan and only included the 1996 Japanese concert that is featured on the LIVE 1996 live record. With the return of D.C. Cooper to the band, and the new album SHOW ME HOW TO LIVE (2011), the band has finally released this show on DVD for the rest of us not in the land of the rising sun. Added to the 1996 performance is a 1998 Japanese performance of the PARADOX (1997) album in it’s entirety, a show which may have been another separate DVD for Japan only but was featured as a bonus CD titled CLOSING THE CHAPTER on the PARADOX limited edition box set. This DVD was released in December 2011 at the same time as the new studio album but I missed out on the single copy my favorite store decided to stock…..when I saw this after the holidays and still on sale, I jumped on it. Regular price was $22 so I saved $4. 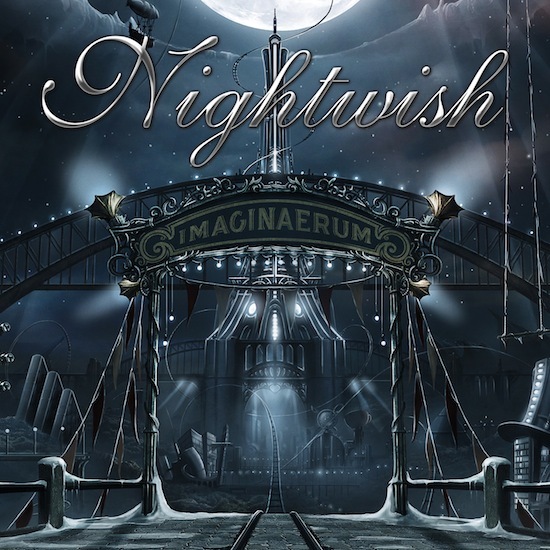 Nightwish – Imaginaerum (2012) – $13: I was never a big Nightwish fan until 2007 when the band released DARK PASSION PLAY with new singer Anette Olzen (formerly of Alyson Avenue). I had a few Nightwish CDs with original singer Tarja Turunen but I just never got into them even though I like similar female-fronted bands. It’s hard to believe that it’s been 5 years since DARK PASSION PLAY so I rushed out the day of release to grab IMAGINAERUM. 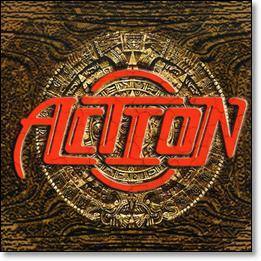 There were two versions of the album: regular CD and the double disc deluxe digipak that included an instrumental version of the entire album. Sale price for the regular was $13 and $20 for the deluxe…..I went with the single disc version because when am I really going to listen to the album without the vocals? 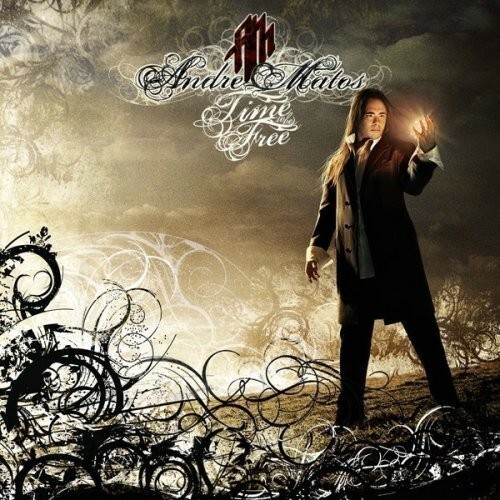 The whole reason I became a bigger Nightwish fan was because of Anette’s vocals! Usually I buy the limited editions right away but this one seemed unnecessary. Regular price for the single disc version was $17 so I saved $4. Nothing is better when someone decides to take a chunk of their collection and sell it to the record store for credit. It reminds me of the old days (1997 – 2002) when I used to hit this one mom & pop record store about 20 minutes from home twice a week. Back then, before used CDs really hit big, people would bring CDs in for cash on a Friday afternoon so they could go clubbing at night, same thing would happen on Saturdays. I would head up Saturday mornings and scoop up all the recently acquired used CDs from Friday at cheap prices and then I would show up on Tuesdays for the new releases and to plunder the Saturday used CD stash. This particular store used to have a “Buy 3, get 1 free” policy for used CDs, and they were anywhere from $5 to $8 depending on the title, so I used to go in and get anywhere from 4 to 20 CDs at a shot and really pad the collection with bands and albums that I wanted to try or had never seen before or hadn’t seen in a long time. My third trip to my usual Newbury Comics store was like a trip through time! Someone had gone in and sold a box of CDs for store credit…..an absolute ton of CDs! Looking at the album covers below you may or may not recognize some names but I sure did! I also noticed the record labels: MTM, SPV, Locomotive Records, Frontiers Records, Z Records, Escape Music, Majestic Rock, Chavis Records, AOR Heaven and a few self-released titles. There were way more CDs than I could buy so I had to leave a good amount behind (in case anyone in my area reads this, I’m not saying if the ones I left behind are still there!) but I bought 16 CDs that I knew I wouldn’t have an opportunity to buy again. This used CD score was only $68! Assuming each CD sold for a regular price of $10 (could be more or less depending on the release year, label and popularity), I saved approximately $92! 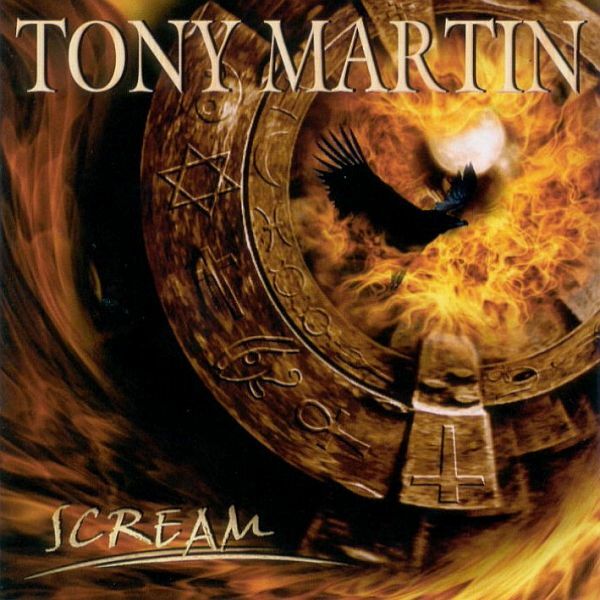 A lot of AOR, Melodic Rock and Hard Rock in this bunch but some Metal with Tony Martin (ex-Black Sabbath), Andre Matos (ex-Angra) and Artension. 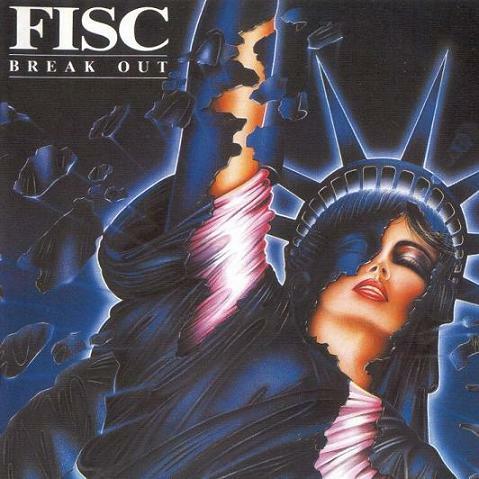 The two Fisc CDs go for big bucks on Ebay, even for reissues. It was nice to also score the N.O.W. album because I recieved a digital promo from Escape Music for review back in 2010 and I had been watching for a good price for the last two years to avoid the high import prices online. 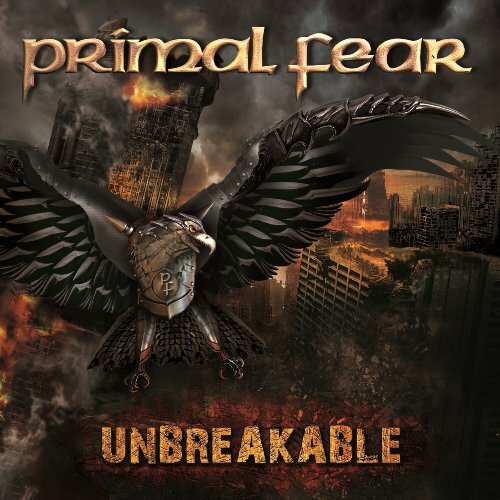 On to the final trip of the month to the record stores…..
Primal Fear – Unbreakable (2012) – $12: I haven’t missed a Primal Fear album yet and I wasn’t going to start now! I haven’t really kept up on the Metal news the last few months so I was surprised to hear that Primal Fear had a new record coming out…..usually I know when one of my favorite bands is releasing a new record! I’m a Power Metal guy and I consider Primal Fear and Hammerfall to be the leaders of the genre since it’s resurgence in 1997. I couldn’t pass up getting this the day of release because the band’s last two albums, NEW RELIGION (2007) and 16:6 (BEFORE THE DEVIL KNOWS YOU’RE DEAD) (2009), were awesome and the sal price was only $12 for the limited edition digipak with the bonus track ‘Night Of The Jumps’ and the video for ‘Bad Guys Wear Black’. Regular price was $17 so I saved $5. 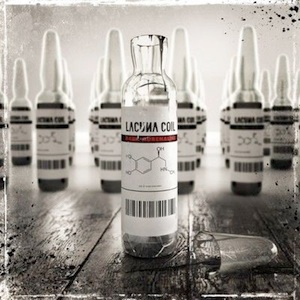 Lacuna Coil – Dark Adrenaline (2012) – $12: When Lacuna Coil started in 1998, I became a fan. 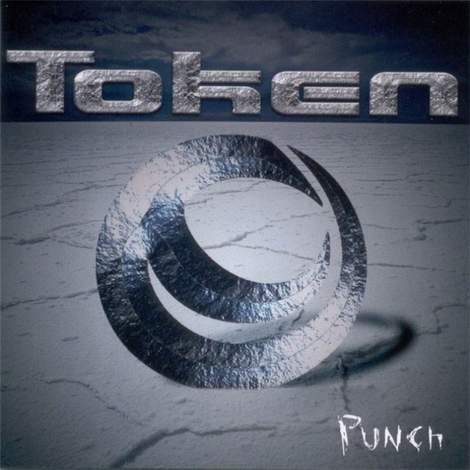 The whole Gothic Metal movement was really starting up with female-fronted bands and I jumped into the genre with bands like The Gathering, Lana Lane, Epica and Lacuna Coil to name a few. I really got into Lacuna Coil in 2002 (like everyone else!) with COMALIES and then I thought KARMACODE (2006) was a good record as well. I didn’t get into SHALLOW LIFE (2009) though, I just thought it was more of the same, nothing groundbreaking, and I was kind of sick of seeing the bandwagon get attached to the band just because Cristina Scabbia is hot! There’s a lot more to Scabbia than being hot (she’s a great singer!) and I just couldn’t take all the mallrats getting on board at Hot Topic or reading her “love advice” column in Revolver Magazine. I’m a loyal fan though and, if a band has a good track record, I keep coming back for more despite any subpar albums. I had to give DARK ADRENALINE a shot and I figured buying it the day of release on sale wouldn’t hurt as much if the album sucked. I did buy the deluxe version with the bonus DVD but it was only $2 more than the regular CD version. Regular rpice for the deluxe digipak was $17 so I saved $5…..and I’m crossing my fingers that I’m not disappointed! 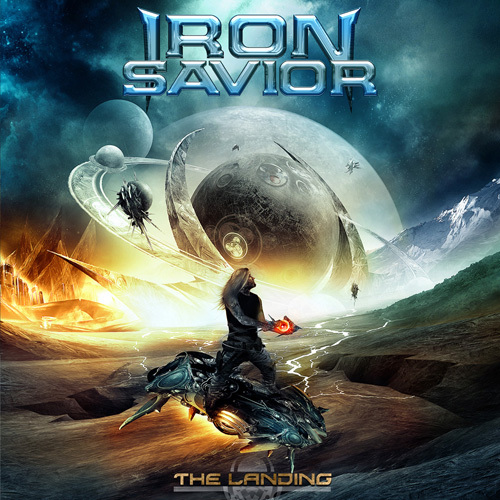 Iron Savior – The Landing (2012) – $10: More Power Metal! Back in 1997 when I got my first dial-up AOL account, I discovered a whole new world of Heavy Metal with the click of a mouse. Everything I was reading about in magazines was now (almost) instantly available. 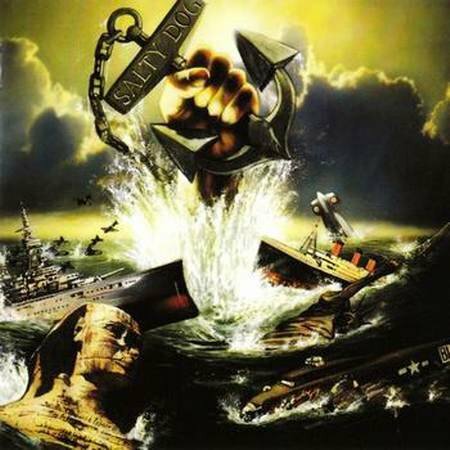 That’s when I got back into a lot of bands I grew up with like Helloween…..who brought me to Gamma Ray…..who brought me to Iron Savior. The Kai Hansen connection is obvious but I got into Iron Savior with UNIFICATION in 1999 and I’ve picked up most of their albums despite Hansen leaving in 2001. 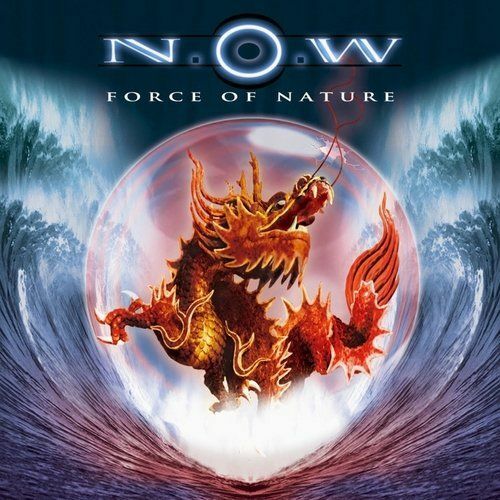 I think this is one of the really underrated bands in the Power Metal scene, maybe that’s because the do get over looked by Helloween and Gamma Ray. THE LANDING came out everywhere else in late 2011 but the U.S. release was at the beginning of January 2012 so I was able to get a nice sale price saving $6 off the $16 regular price. 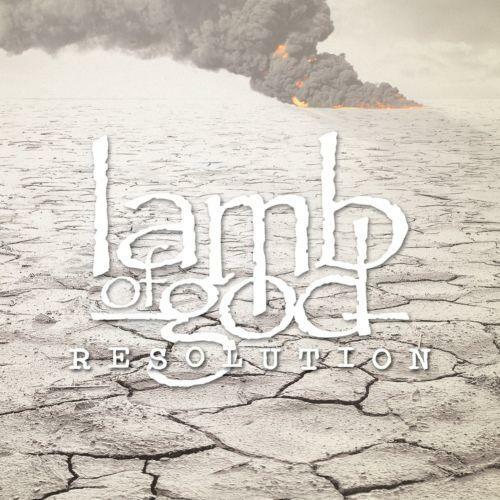 Lamb Of God – Resolution (2012) – $10: Feeding the Extreme Metal need! I’ve never paid Lamb Of God much attention because I’m not usually into their brand of Metal but I wanted to buy this new record in the hope that it will catch me and I can go back and check out their back catalog. I’m starting to get into a lot more extreme bands, more Thrash, Death, and Black Metal but I’m always wary of anything with “core” at the end. When asking some younger Metal dudes I know about Lamb Of God, they labelled them Metalcore and I wasn’t sure what that meant but I had visions of Hot Topic lemmings again! Reviews of the band’s albums and live shows are always great and I decided to bite the bullet and check out a newer band (they’ve been around for around 15 years or more!). I think there might have been a deluxe version of RESOLUTION but I grabbed the regular CD and saved $4 off the regular price. 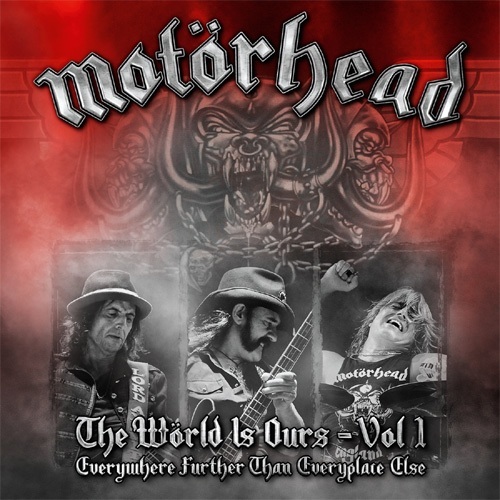 Motorhead – The World Is Ours – Vol.1: Everywhere Further Than Everyplace Else (2012) – $14: I knew this was coming out and it was the main reason I went on this last shopping trip of the month. First, it’s Motorhead, one of my favorite bands. Second, it’s a 2 CD & 1 DVD live set. Third, sale price was $14 and I would save $6 off the regular price. Motorhead always gives a nice package and great live albums so this is worth picking up for that alone but what I like is that the audio CDs are exact to the DVD. Too many times you get a live DVD and a live CD set and they are sold separately (Hello Iron Maiden!). I understand it’s a business but give the fans a break! The people that buy this stuff are the diehards, the people who buy the tickets, buy the merchandise and spend their hard earned money on their favorite band. Motorhead gets it, that’s why they are loved by the fans. 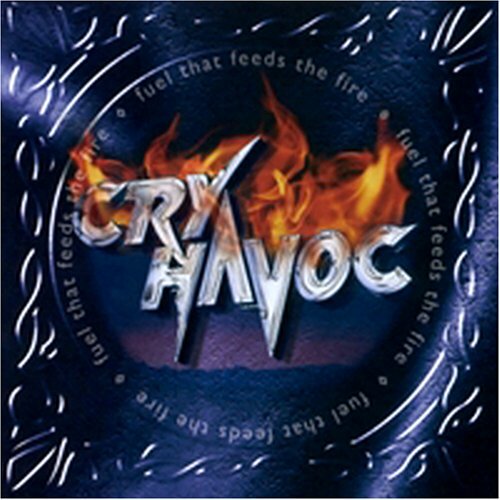 It’s in your face, straight up Heavy Metal on DVD and 2 CDs…..easy to spend $14 on! One thing I didn’t do as much last year was use Ebay to get a lot of older releases so I decided to step up my research this year and see if there are better bargains on Ebay for new and old CDs. I got off to a great start this year by acquiring some albums I’ve been watching for a long time. Prices here include shipping…..
Salty Dog – Every Dog Has It’s Day (1990) – $20 used: $20 may seem a little pricey for a CD that is 22 years old but you’d be surprised how much this CD goes for. I’ve been watching this debut by Salty Dog for years and I’ve never been able to find it on Ebay for less than $30. 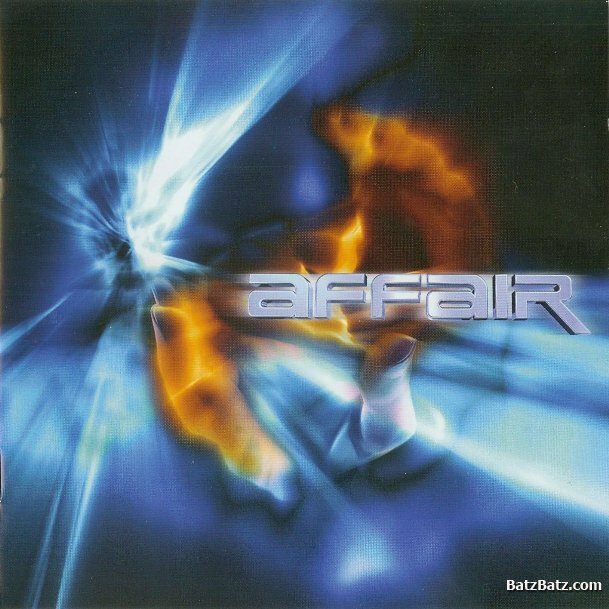 I’ve seen this CD go for over $60 many times over the last few years after bidding wars occurred during auctions. 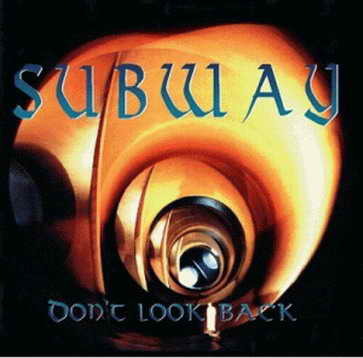 I haven’t seen this CD in a record store in at least 10 years so maybe there was only a small pressing back in the day? I read somewhere recently that Salty Dog had a good initial run but the album stalled when MTV decided not to continue to play the band’s video because there was a dispute between MTV and Geffen Records. Who knows if that’s true or not but the album is hard to find here in Rhode Island. This copy is a promotional copy as stamped on the CD itself but the inserts have no punch holes. Great White – Hooked & Live In New York (1990) – $53 used: Another CD that’s over 20 years old! So why is this over $50? 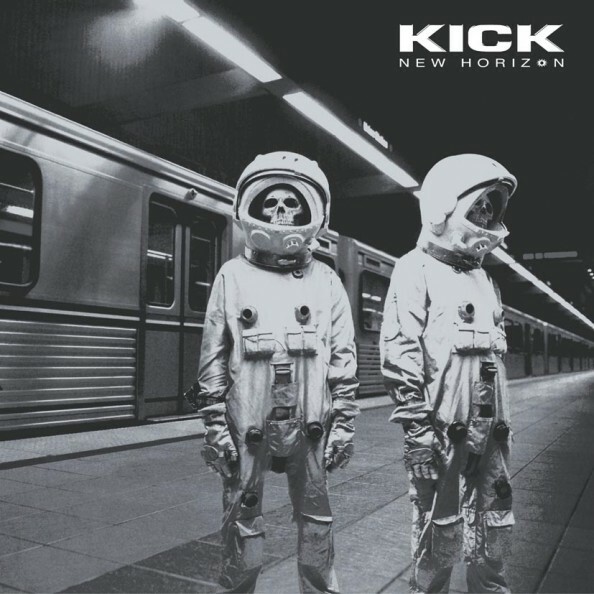 It’s a Japanese import that includes both CDs in this limited edition pressing and includes all inserts, OBI strips and the original cover artwork for HOOKED. I’ve had HOOKED since it came out in 1991 but I never acquired the original artwork on vinyl, CD or cassette so I’ve been watching for a decently priced copy for a while. The LIVE IN NEW YORK CITY disc is sold separately for around $15 usually but it’s a unique Japanese pressing so when I had the opportunity to grab it, I splurged a little. Everything is in perfect mint condition so I was pretty psyched to cross another indulgence off the growing want list. 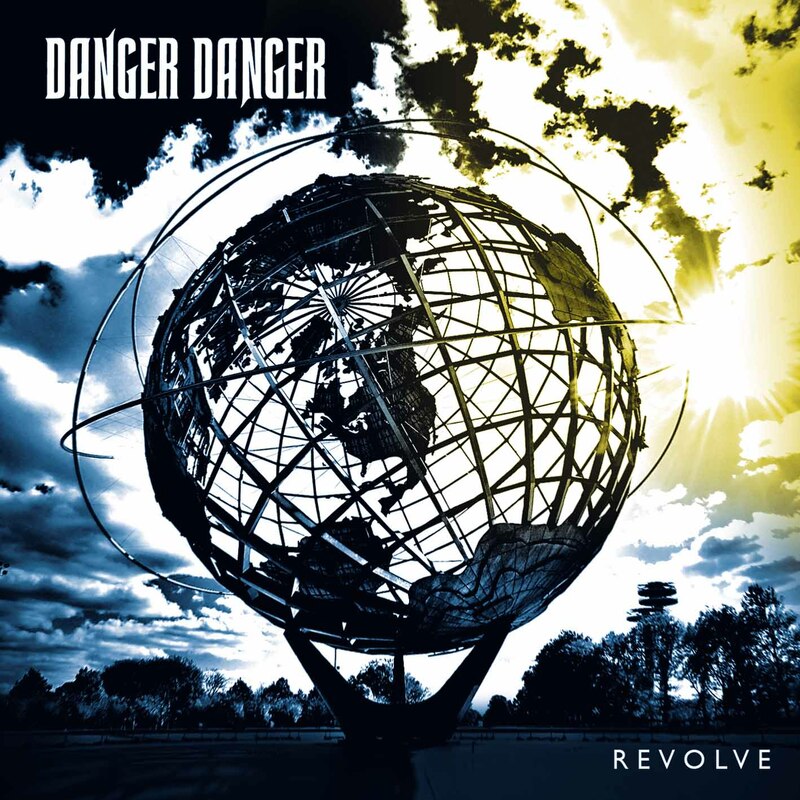 Danger Danger – Revolve (2009) – $13: I wrote a WANTED column on this Danger Danger album two years ago and I never bothered to pick it up. I had plenty of opportunities to buy it online but I always pushed it aside for newer releases and, as the want list grew, REVOLVE went down the list. I was cleaning up my desk and I found a paper that had a few albums written on it and REVOLVE was one of them so I went over to Ebay and started looking for the best price. I ended up paying only $13 total for a U.S. pressing which is a great price for a brand new sealed CD…..I wish I could get more as reasonable! Nothing is better than crossing off an album from my want list, especially one that I featured here on the website, but I’ve been looking forward to this album because the reviews are all so positive. 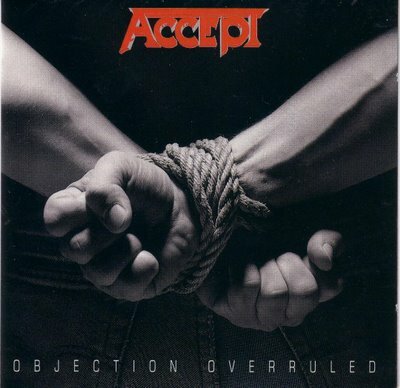 Accept – Objection Overruled (1993) – $13 used: After I bought the Danger Danger CD, I started to check all the other WANTED posts I published for CDs that have gone down the priority list…..enter OBJECTION OVERRULED, a huge hole in my Accept collection! 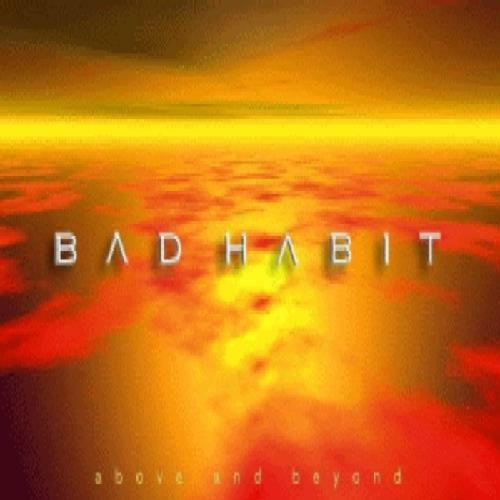 I wrote this album’s WANTED column back in March 2008, and it’s one of my Ebay alerts, but it always seems to fetch a higher price than I am willing to pay. The Japanese issue with the bonus track ‘Rich & Famous’ goes for $30+ easy but the U.S. pressing on CMC International I’ve seen draw $25+ on many different occasions. I already own the ‘Rich & Famous’ song on another release so buying a Japanese import wasn’t necessary unless the prices evened out but I found a seller with a great BUY IT NOW price and I bought it the first day it went up. 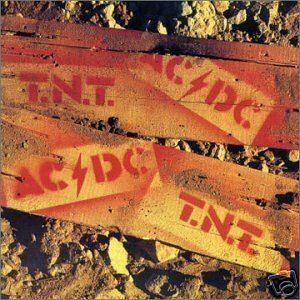 AC/DC – T.N.T (1975) – $30 used: I was on a roll buying up CDs from the WANTED posts so I figured one more wouldn’t hurt. I’ve been watching the Australian only release T.N.T. from AC/DC for years and I’ve never been able to buy one for under $40 because most of the copies come from Australian sellers and the shipping is always enormous. 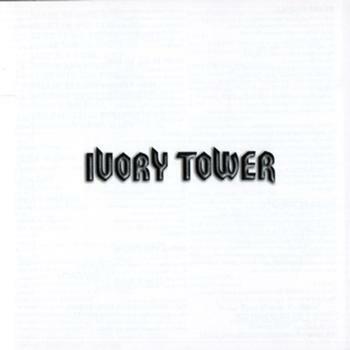 I wrote this album’s WANTED post back in September 2008 and I’ve had T.N.T. as an Ebay alert for at least 7 years so I really wanted to get this one off the list and it was easy once I found a U.S. seller. I ended up getting into a slight bidding war at the end but my top price of $27 won it for me with seconds to go…..add the $3 shipping and you get the $30 total. Now I just need to acquire the Australian versions of HIGH VOLTAGE and DIRTY DEEDS so I can have the original artwork. 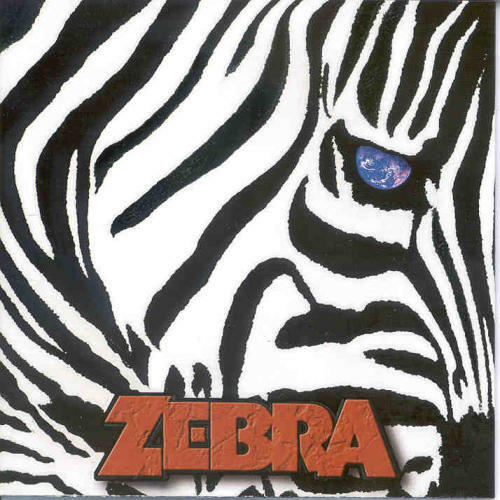 Zebra – IV (2003) – $8 used: I’ve been on a massive Zebra kick since I kept hearing ‘Tell Me What You Want’ a few times on the local Rock station’s “classic lunch” show but I realized I only had that one song on a CDR someone made me and I had no way of playing my Zebra tapes because I don’t own a cassette deck anymore. I bought the second and third Zebra studio albums on a previous Hunt but the first album, Zebra’s most successful, eluded me at a good price. While I was searching for the first Zebra record, I found the band’s fourth (ZEBRA IV) and I got an awesome price of $6 + $2 shipping. I’ve never seen ZEBRA IV in stores since 2003 so I knew that this was going to be a rare one at that price, usually it still lists for around $15. 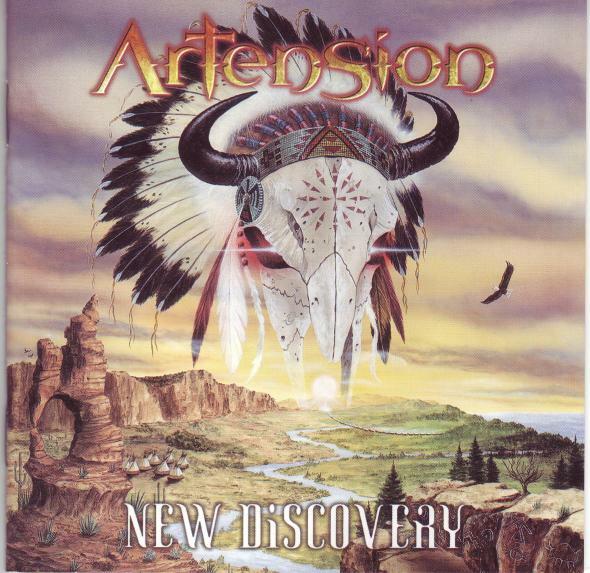 The search continues for the debut album….. Yesterday (Wednesday, January 25th), RIOT guitarist and founder Mark Reale passed away due to complications stemming from Crohn’s disease in a San Antonio hospital. He was 56 year old. Reale had been in a coma since January 11th due to a subarachnoid hemorrhage. He had battled Crohn’s for most of his life, working and performing while enduring almost constant pain and the side effects of treatment for his illness. He was in Texas bravely attempting to practice for the band’s scheduled shows, but was felled by a severe onset of Crohn’s symptoms, which eventually put him in the Intensive Care Unit. “Our brother Mark Reale went home to be with our Lord this day January 25th, 2012 after a long battle and complications from Crohns disease. He is survived by his father Anthony Reale and was precede in death by his mother Frances Reale. Mark was born June 7th, 1955 in Brooklyn New York at a time when rock and roll was flourishing with many new sounds. Early in his life, his first interest had been the movies. ever so curiously, he had shown an interest in films. But then, songs he heard on the radio began to change that. He quickly began to love music from THE BEATLES and CREAM. Mark lists GEORGE HARRISON and ERIC CLAPTON as great influences. When he was seven years old his grandfather bought him his first basic guitar to practice on and later his father bought him a new guitar and amp, his passion had begun. In the early to mid ’70’s his influences included the likes of EDGAR WINTER, RONNIE MONTROSE and RICK DERRINGER. He also loved a range of bands and artists from AL DI MEOLA to DEEP PURPLE. In 1975 Mark formed his band Riot, then at a block party Mark’s father found vocalist Guy Speranza. 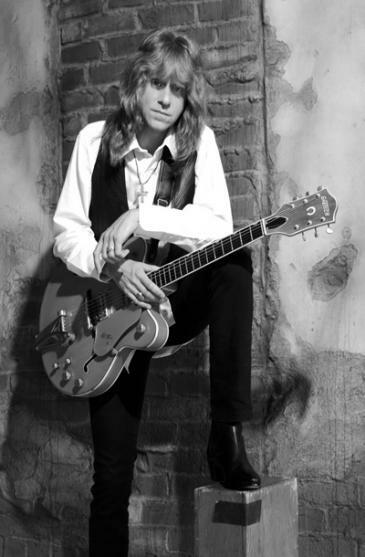 Mark’s guitar style and his passion for writing songs that told stories that were so deep and moving had made a real connection with those who would become life long fans. The fans felt so connected to Mark because the lyrics in Riot’s songs were extremely close to the stories of their own lives. His song writing style could weave tales of anything from old lore to battle fields and warriors, personal loss and triumph. And heavy metal anthems that will be with us for decades to come. The brethren of brothers that Mark spent his life long career in music with and whom he leaves behind or joins in heaven are, Guy Speranza, L.A. Kouvaris, Kip Leming, Peter Bitelli, Rhett Forrester, Rick Ventura, Jimmy Iommi, Sandy Slavin, Tony Moore, Don Van Stavern, Mike Flyntz, Pete Perez, Bobby Jarzombek, Mike Dimeo, John Macaluso, Bobby Rondinelli, Mike Tirelli, Frank Gilchriest and Damon Di Bari who was always like the “6th” member of the band being Riot’s lighting director / production manager / tour manager and Mark’s personal assistant. Mark’s final days were spent with Damon at his hospital bedside, sharing the fans thoughts, well wishes and prayers. Even though Mark began his career in New York, San Antonio was a special place he loved and not only lived here for a while but had planned on moving back here to make San Antonio his permanent home. With heart felt thanks to the fans around the world, the United States, Japan, Europe and all points in between. The Riot army meant everything in the world to Mark., it’s what kept him going. The loyalty and love of the fans fueled his passion and desire to continue making music for as long as possible. Please keep the Mighty Tior in your hearts and the memory of Mark alive within you. It’s a very sad day for me here at Heavy Metal Addiction because I am a huge Riot fan and Mark Reale is one of my favorite guitar players. I knew that Mark suffered from severe Crohn’s disease for years, and I had been following Mark’s recent hospitalization due to Crohn’s complications because Riot was scheduled to tour the U.S. and the band had been rehearsing in Texas with Mark. When I read the news early this morning, I was shocked to find out Mark had passed…..it’s always a shock when one of your heroes passes, they seem so indestructible. Mark’s music, whether it be in Riot or Westworld, has been some of my favorite Heavy Metal and Hard Rock in the last 30 years, he was a criminally underrated guitarist, very influential and a great talent…..the music world has lost another great musician. 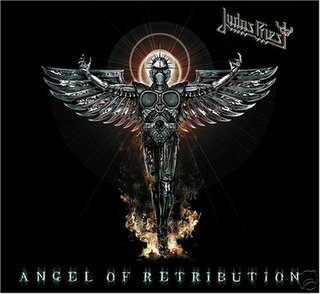 Albums like Riot’s FIRE DOWN UNDER and RESTLESS BREED, and Westworld’s debut album, are some of my favorite all-time albums and are worth seeking out if you are a true Metal fan. 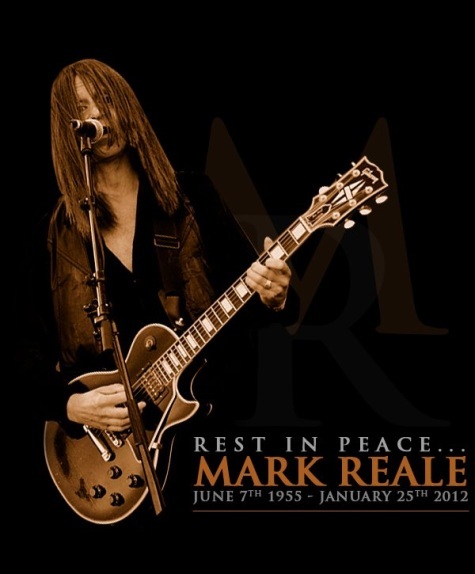 Sincere condolences go out to Mark’s family, friends, bandmates and fans…..shine on and rest in peace.